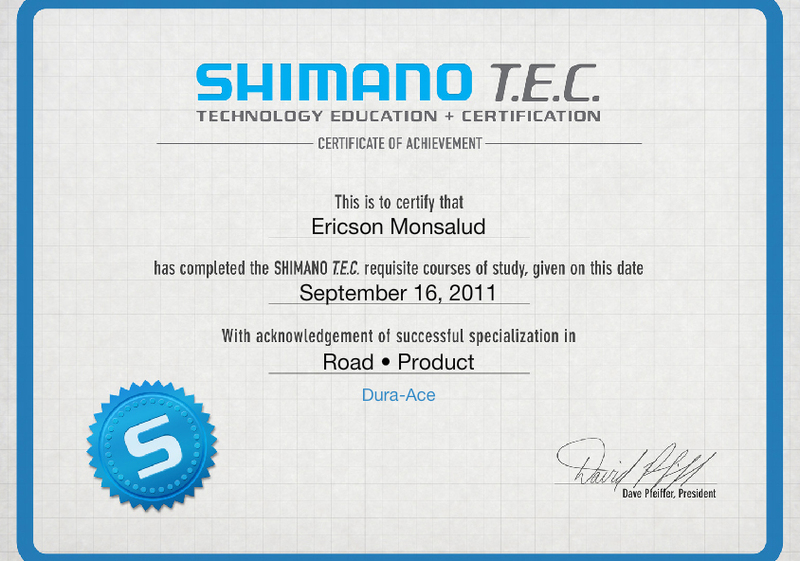 Ericson's middle name is practically "XTR". Bike Attack will always recommend Shimano Cranks, Pedals, Derailleurs, Wheels, and Brakes. Shimano is the leader of the global bicycle component market, commanding approximately 50% of the market share. Its products include drivetrain, brake, wheel and pedal components for road, mountain, and hybrid bikes. These components are generally organized as groupsets intended to be used as a near complete collection of a bicycle's mechanical parts. Shimano does and excellent job of categorizing their components for specific uses, weights, and price points. Newest addition to their line is the electronic shifting system DI2. Bike Attack is a certified DI2 service center. Please call us at 310-862-5001 or email Sales@BikeAttack.com. The general rule of thumb is higher end = lighter weight and faster, cleaner shifting. Depending on your price point and weight concerns Bike Attack can assist you in selecting the proper Shimano components for your bicycle. Shimano now has Di2 Electric Shifting for Road Bikes in the Ultegra Di2 Bike Attack is trained to install Shimano Di2 Systems the fastest shifting components on a bicycle. Ericson, master mechanic, shop owner, is a wizard on all things Shimano. He can read tech-documents in 4 languages and have any Shimano part shifting like a hot knife through butter.